Do you want to capture more email leads? Are you running social media contests to grow your email list? Whether they’re run on Facebook, Twitter, Pinterest or Instagram, social media contests and giveaways are a great way to collect emails. In this article you’ll discover how to make sure your social media contests and giveaways attract and convert more email entrants. Why Collect Emails as Contest Entries? You know social media is effective, but it’s rented land. Your email list is something you own. The good news is that you can use social media contests to collect emails for that list by asking people to enter with their email address. 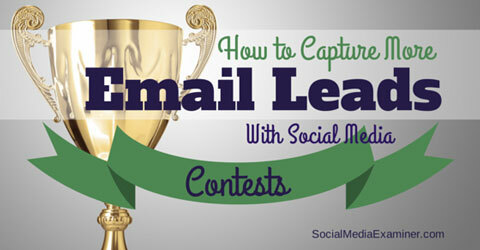 Find out how to capture more email leads with social media contests. Once collected, you can use those email addresses to target your marketing on platforms like Twitter and Facebook. 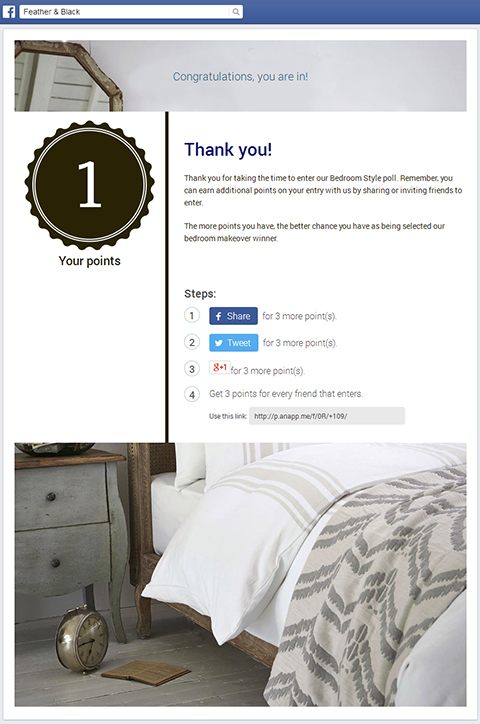 Here are a few ways you can multiply the number of email leads your contests generate by making them as participant-friendly as possible. If your social media sweepstakes and contests aren’t generating the email entries you need, the issue may be that people don’t believe they have a real chance at winning. Here are three ways to help people understand winning is a genuine possibility and therefore worth the time it takes to enter with an email address. Past research on maximizing sweepstakes and contests for consumer value shows that offering multiple smaller-value prizes can be more effective than offering a single high-value prize. Why? People weigh their chances of winning before they enter a contest. Say your contest offers a new car as its only prize. Most people think about how many people will enter, feel their chances of winning are minimal and decide not to enter. The most effective contests offer multiple lower-value prizes so there are more chances to win. Offer a number of lower-value prizes in place of or in addition to your grand prize to raise the odds someone has of winning. At first sight, this contest seems okay—it’s simple and easy to understand. But it’s not ideal. The conditions are intimidating for entrants who don’t have a large online network. 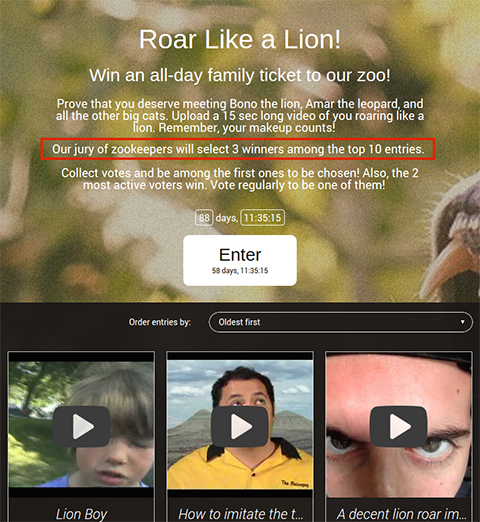 See, in order to win the prize your potential subscriber needs to collect the most votes. Say he has a cute puppy but not many friends who are part of the platform your contest is running on. He does the math and thinks he’ll collect relatively few community votes, loses interest and doesn’t enter. Instead of choosing winners based solely on community votes, include a jury round in the process. Add a jury round to your contest so all entrants feel like they have a fair chance to win. If you let people qualify for the final round by collecting community votes, and then have a jury award your prizes, everyone will feel like they have an equal chance to win. Would you enter a race if the other runners each got a one-mile head start? I’m guessing not. The same logic can be applied to social media contests that require people to upload something (a picture, video, music or a story) for a voting round. If these periods overlap too much or are run at the same time, people worry about catching up with others who have already collected lots of votes. They know they’re behind and they don’t enter. Separate uploading and voting periods give everyone the same chance at winning. To make sure everyone has a fair chance at collecting votes and winning, you need to have separate rounds for submissions and voting. Open your contest for voting only after you stop accepting submissions so all entrants start at the same baseline. If you only focus on motivating entrants to share their email address by offering a prize, you’re missing out on a big source of leads—your voters. To capture voter leads, add a layer to your contest that asks voters to register with their emails in exchange for being entered into a related prize drawing. Voters are more likely to engage if they have a chance of winning too. As a bonus, you can gain even more engagement for your contest when you add an entry for someone on each day they cast a vote. Marketers often make the mistake of putting sharing icons and prompts wherever they can; for example, just after someone enters a contest. Getting people to enter your contest, sweepstakes or giveaway with an email is only half the battle. The other half is to get the people who enter to share your promotion with others, whether you’re trying to attract voters or more entrants. The issue is that most people won’t share a contest if it means decreasing their own chances of winning the prize. 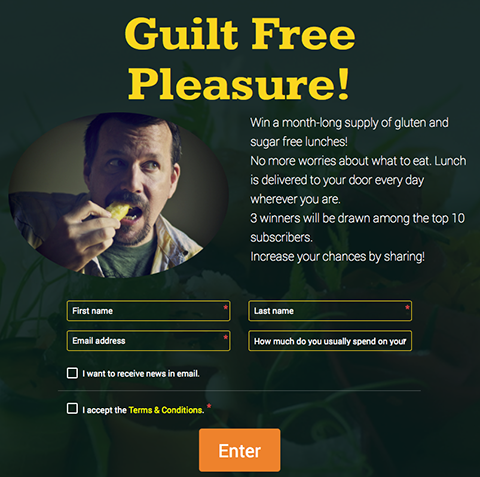 The solution is to create a win-win for both you and the people who enter your contest. Sharing is caring. Sharing that’s beneficial for both sides is even better. Use a social media contest, sweepstakes or giveaway tool that lets you award extra entries or points to people for each share they post from your contest. The more people who know about your contest, the more email addresses you’ll receive. Because your email list is a commodity you own, you should require all entrants to submit an email address as part of your contest entry process. The tips in this article aren’t difficult to implement. Apply the techniques above to generate more entries from your social media contests—and more emails for your list. What do you think? Will you try these techniques to get more entrants and grow your email list? What tips can you share to help others? Let us know in the comments below.